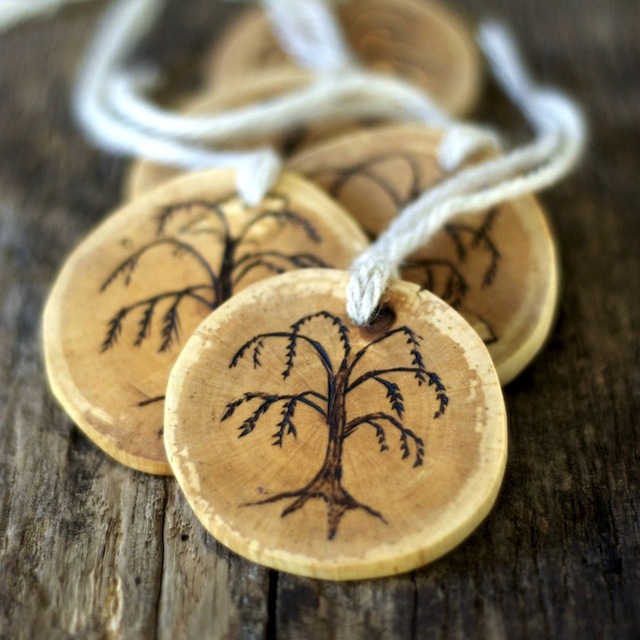 We are so incredibly grateful for all the love and support of our newest line in the shop: Tree Branch Ornaments. We had our first wedding order only a few weeks after launching the tree design, as well as many custom design requests! 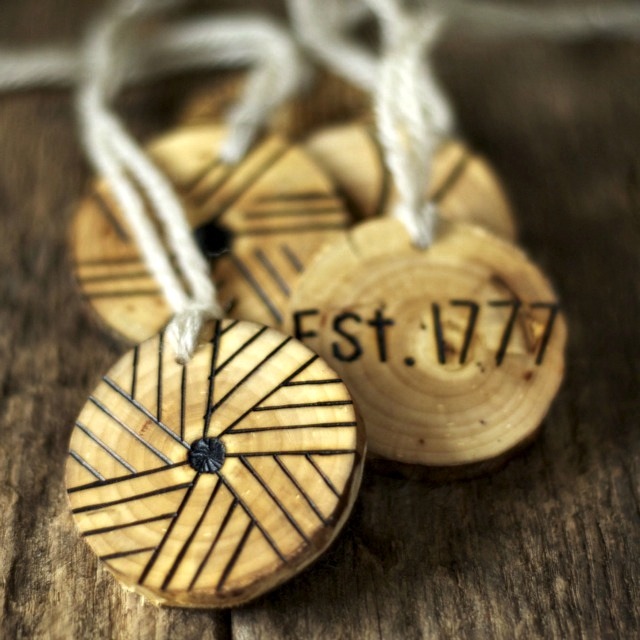 It's such a pleasure to work with our hands to share beautiful, sustainable goods. 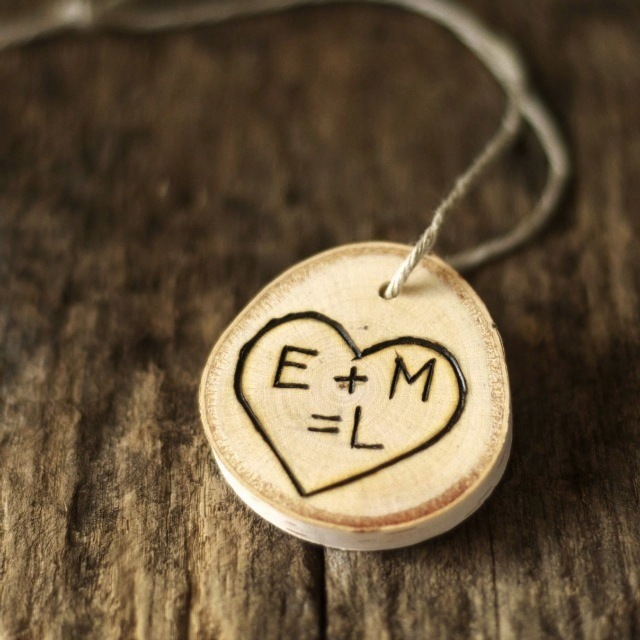 Have you ever declared your love for someone by carving your initials into a tree? We did too, on our honeymoon, 10 years ago! 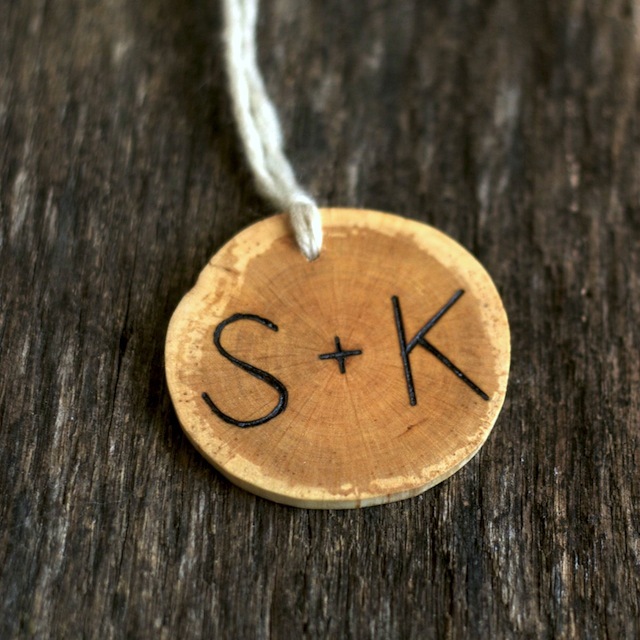 We've had so many custom requests for the sweet little tree carved initials ornament, that we've created it's own listing. Two initials on the front and the year on the back (or a special date). 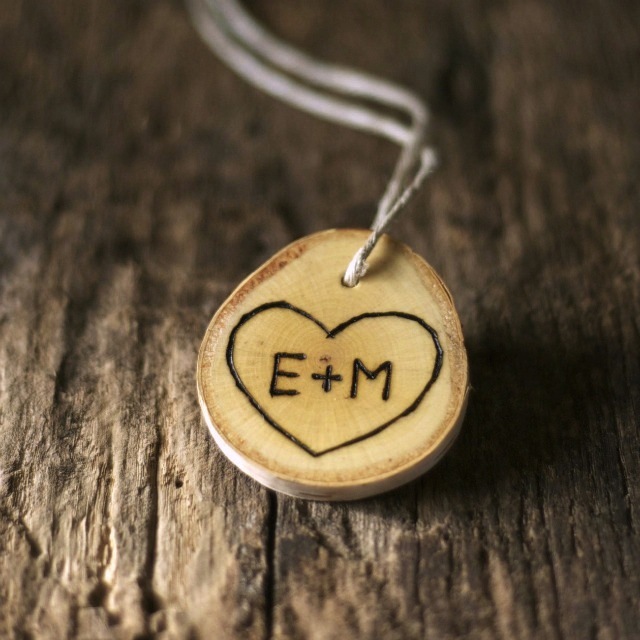 They make a perfect winter wedding favor, gift, or as a way to commemorate a couple's first year together! Not into hearts? We have an option for that, too. Another custom request from first time parents; Baby's First Christmas Ornament. It also includes the year (or date) on the back. I made this one for Luke, when I realized our third son didn't have a first year ornament for the tree. I'm including this one in the shop, as well. 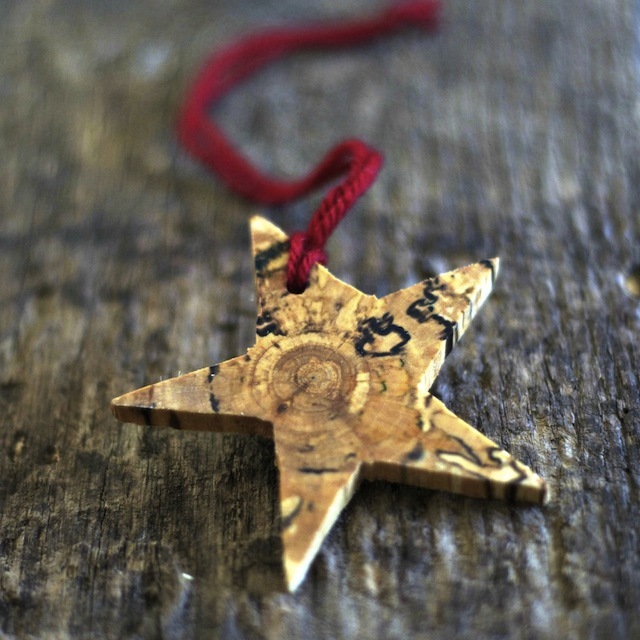 The Spalted Star just may be my most favorite yet! 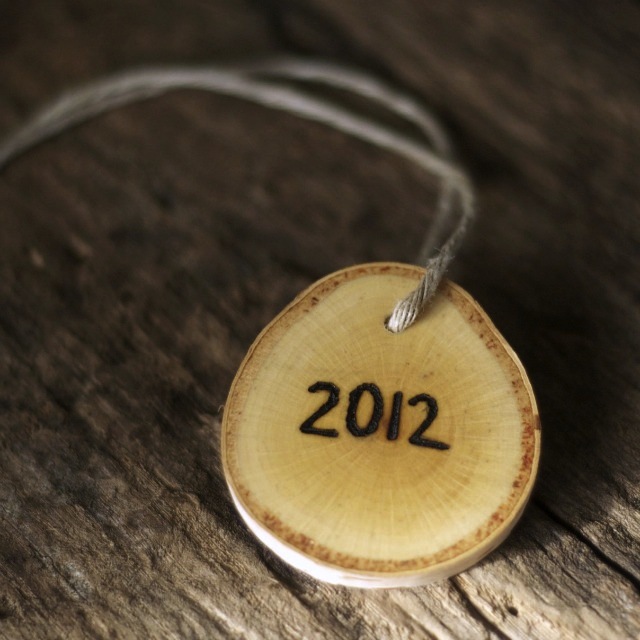 The simple, timeless shape is cut from beautifully spalted birchwood. Spalting happens at a critical point in decomposition, just before the trunk becomes rotten and punky. 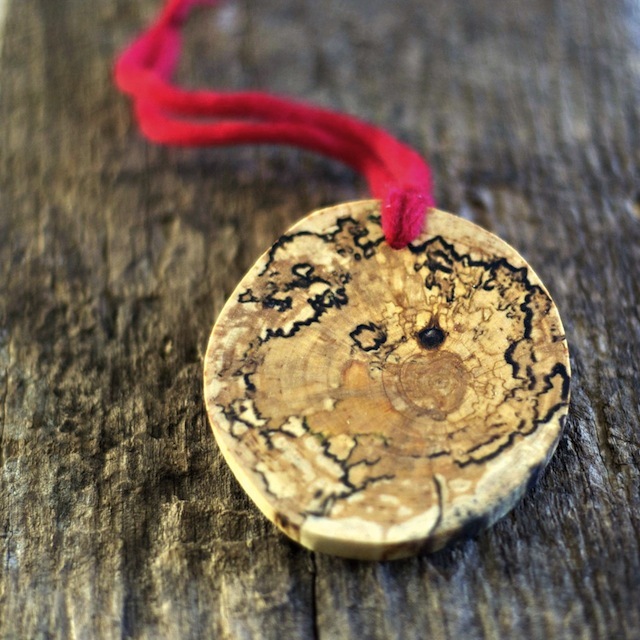 It retains it's strength, while leaving behind a magical pattern in the wood. Millstones, for a client who lives in an old gristmill circa 1777. For a new baby called, Willow. To say thank you, we're offering a giveaway! One ornament of your choosing from the shop! Comments will be closed Sunday night at 10pm and the winner will be announced Monday. Please stop back to claim your prize. Good luck! Comments closed. Thanks to everyone for participating!